Heavenly Father, thank you for sending your Son to redeem us. Lord Jesus, thank you for coming to earth, paying the price for our sin, and sending the Holy Spirit to be your presence in us. Take our life and use it to your glory. May our faith not fail in the face of life's worst challenges. 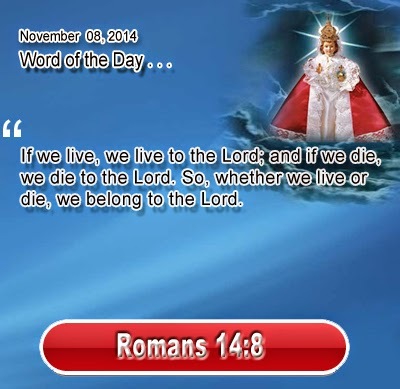 We pray that whether we live or we die that you be glorified in us. In Infant Jesus' name we pray. Amen.